Look no further, Ha-Ko Cylinder Mowers now available in India with imported design & assembled at our works. 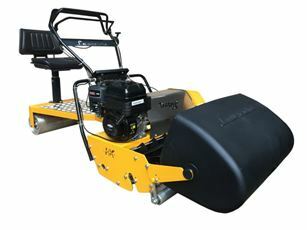 The unique ‘twin drive’ safety feature allows independent control of the cutting cylinder and the powerful self drive rear roller. Add to this the ability to achieve very low cutting heights (Zero cut) for manicured lawns with football, cricket ground stripe effect from the rear roller and the result is nothing short of an absolutely professional finish. 5 models to choose from, so choose that suits your requirement the best ! Our range of cylinder mowers has a number of builtin features to ensure that you get a perfect cut every time. Their vulcanised smooth rear roller is mounted on heavy duty precision ball bearings for low maintenance and ease of use. 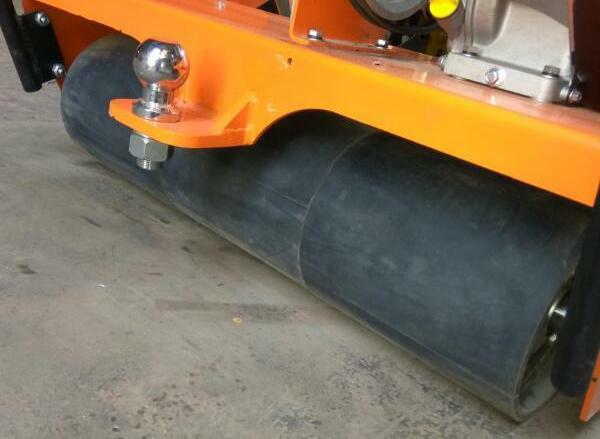 A micro height adjuster gives you complete control over the length of the grass, while the cutting cylinder is purpose-designed to direct cuttings into the centre of the catcher to prevent fouling. 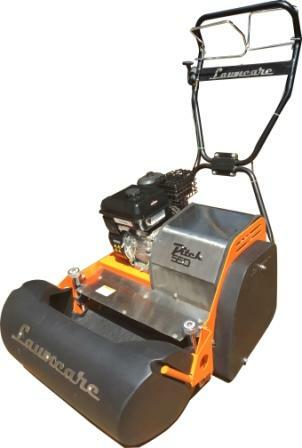 Pitch 550 Electric Motor powered lawn mowers is designed for professional use, giving superior low cut needed on the cricket pitches, golf greens. 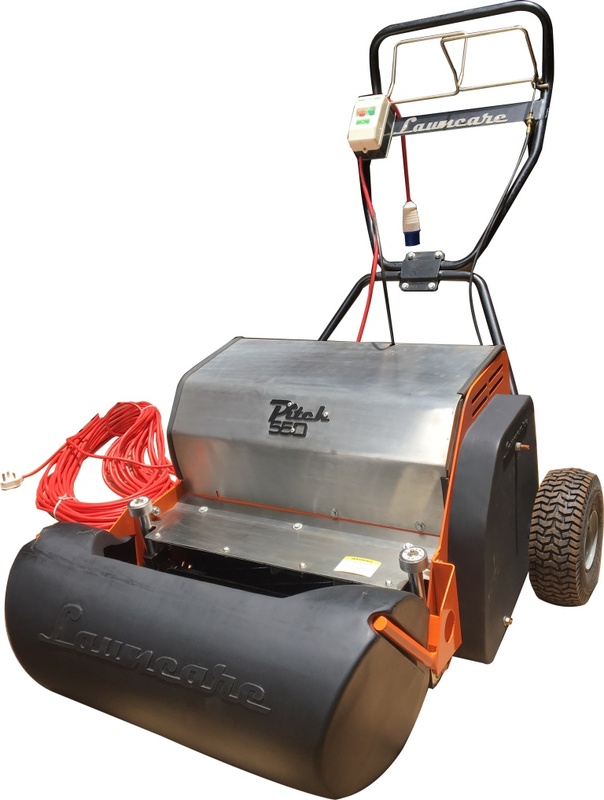 the machine overall design is very compact, with top cover made of rust proof stainless steel. The chassis is designed an built by CNC lazer profile machine where even a smallest engineering mistakes is avoided, also giving the precision is cutting and faster production time. Branded Powered by Single phase (230V) 3000 rpm induction motor. With good quality heavy duty cable and overload trip switch. Supplied with 45 meter cable and water (splash) proof industrial plugs connectors. Outfield 760, superior & heavy duty quality 8 blade cylinder lawn mower Dedicated for both short and tall grass application ensuring quality finish. 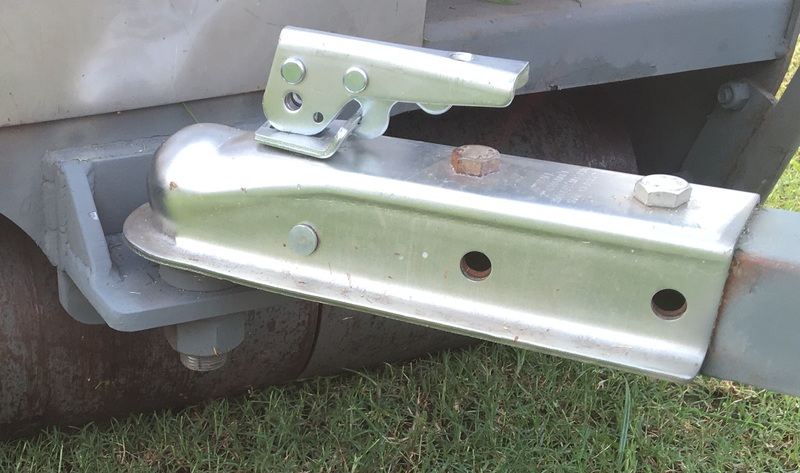 The quality of cut due to the slicing ‘scissor’ type action of the cylinder lawn mower, if maintained correctly, is superior to that of the ‘chopping’ or ‘smashing’ action of a rotary mower. 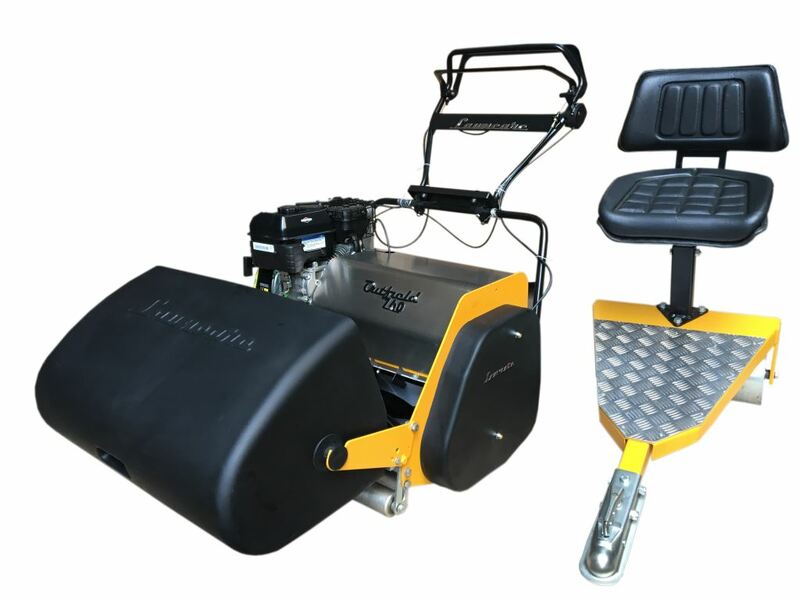 Outfield 760 lawn mower comes with detachable ball joint Rideon seat, which can be easily detached by lever. So operator can choose the option of walk-behind and rideon in seconds.